Become a formal member of our network by either becoming a member of WISA or the IWA. This gives you the added benefit of becoming embedded in the activities of these broader professional activities and gives you reduced rates to fee-charging events. Attend and participate in our events. These are advertised through the Newsflashes and on the National and Provincial events pages. Get involved with a provincial committee. If you have a project that you are passionate about or just want the experience of serving on a committee and the vast exposure and learning that comes with this, please get in touch with the provincial chair in your province. We can all testify to the tremendous learning, networking and fun that we have had working on the YWP-ZA committees. You may also be interested in becoming an Institutional Champion! The Water Institute of Southern Africa (WISA) is a professional, comprehensive, independent, volunteer water sector community network. WISA provides diverse membership benefits to support the African water sector in a representative and effective way. There are branches across Southern Africa, along with specialised divisions where you can get involved in a particular discipline. Find out more about joining WISA HERE. If you are already a member, please contact them to make sure you are added as a YWP! The International Water Association (IWA) is an organisation that brings together people from across the water profession to deliver equitable and sustainable water solutions for our world. With headquarters in London and regional offices around the globe, the network has working clusters, specialist and task groups working on the most pressing water issues. The IWA creates thematic events and programmes to provide the network with a mechanism to respond to global challenges and support progressive agendas for the water and sanitation sector. Find out more about joining IWA HERE. 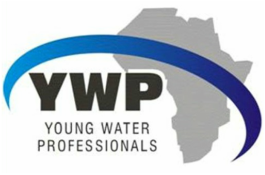 If you are already a member, please contact them to make sure you are added as a YWP! Are you involved, interested, or passionate about the water sector? YWP-ZA believes in the power of information so we do our best to bring you the most up-to-date news on YWP events, interesting opportunities, vacancies, bursaries, funding, conferences, and more! Newsflashes are published about once a month (depending on content). Occasional special notices go out as needed (such as for a YWP-ZA conference invitation or special/urgent updates). Check out the archive of some of our more recent Newsflashes to see if it would be useful for you! All information will be kept confidential. Joining this mailing list is FREE, although membership to WISA or IWA is required to become a YWP member. Please be advised that all communications regarding events, opportunities, news, and updates are done via email and Facebook. Source: Where did you hear of us?